From the beautiful mural and décor to the extensive menu of Turkish food, Rudy’s Mediterranean Grill feels like an authentic European restaurant, right in the middle of Columbia. They open daily at 8 a.m. for their breakfast service, but the star of the menu is really their Turkish specialties. 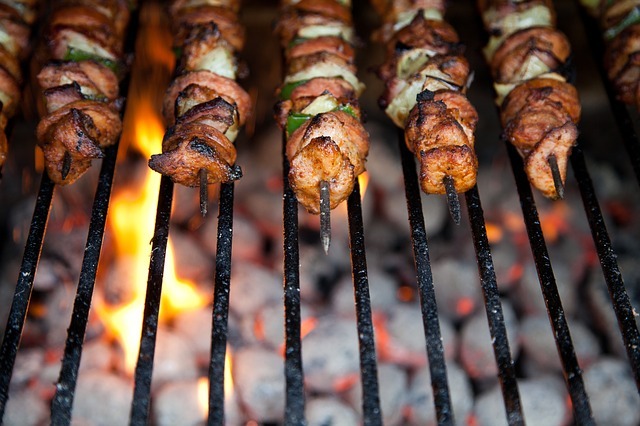 Look for shish kebab, lamb entrees, and traditional sides like pide. Their appetizers are also a menu standout, with familiar options like falafel and hummus, plus a few that will probably be new to you. Try the combo platter for a sampling of six popular starters, including the sigara boregi, a fried filo dough with feta cheese and parsley. In fact, making a meal of just the appetizers and desserts at Rudy’s Mediterranean Grill is a decadent way to try as many of their classic dishes as possible without being too full before the baklava arrives at the table. Rudy’s Mediterranean Grill is open seven days a week until 10 p.m., and also makes a great choice for one of a kind catering.